Medium-sized whalers like this beauty landed on live bait by Eligh are a bundle of fun to catch but definitely second choice when barra are the target. But they still deserve to be respected and released unharmed if not wanted for the table. Chomp! 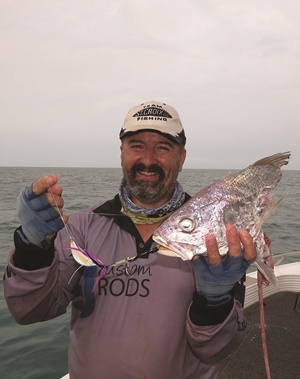 Larry Lockwood sported a wry grin as he pondered his luck in having his jewfish monstered on the way to the top. At least his Reidy’s jig was reusable! A typical Weipa bait ball under attack from tuna, trevally and queenfish. Note the blacktip whaler feeding in the middle of the baitfish mass. Pelagic fish hooked in this situation are not usually monstered by these sharks. They have plenty to eat! This lovely kawa kawa (mack tuna) was hooked around the edges of the bait ball pictured above – and landed intact, in spite of the sharks nearby. WE’VE all had hooked fish taken by sharks! It’s part of the fishing equation – the ‘taxman’ in his grey suit getting his share. Sharks will always make up a significant proportion of a healthy marine environment. But lately we’ve seen numerous complaints of increasing numbers of sharks mauling hooked catches. Facebook and similar social media sites have been riddled with stories of fishers losing fish to marauding ‘noahs’, in some cases to the point where it became impossible to land even a single fish. Some commentators have decided shark numbers are spiralling out of control and are calling for them to be culled to stop them eating ‘their’ fish. A similar story has been going around regarding shark attacks on humans, particularly surfers. The north coast of NSW is definitely a hot spot, particularly when it’s compared to the south Queensland strip that seems to be receiving protection from a long-term shark-meshing program. The question obviously being posed is whether numbers of these ‘man eaters’ are also increasing. On the other side of the coin, robust scientific evidence reveals that shark numbers worldwide have been decimated by overfishing to the extent that some species may be threatened ecologically. For instance, great white sharks were protected many years ago due to a dramatic decline in their population and it would appear somewhat ironic that this species has been identified as the main perpetrator in the attacks south of the border. What is really going on here? The knee-jerk reaction to the greater incidence of shark attacks is simply that increasing numbers of sharks are causing the spike in activity, so we need to kill as many of the ‘grey suits’ as we possibly can, both big and small. However, when the contrasting picture painted by marine scientists that shark populations are under threat ecologically is factored into the equation, perhaps the situation deserves much closer scrutiny. Something is definitely out of place with two such conflicting viewpoints. 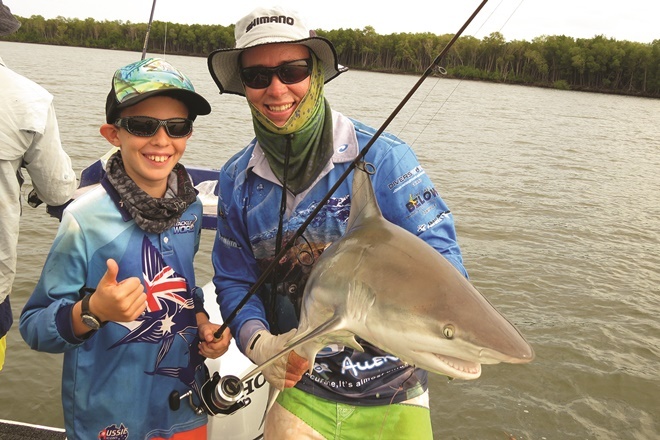 In my 30-plus years as a charter fisher/guide, I’ve spent thousands of days on the water from the Capricorn Coast to Darwin, many of which have included shark encounters. Perhaps the most memorable happened in the early 1970s, before I became a tourism ‘professional’, when I first discovered the fishing paradise that was Fraser Island. One of my most vivid memories of that place was sitting on top of Indian Head at the peak of the tailor season in late-September (circa 1972-1974) enthralled by the marine phenomenon that was a feature of the area in those heady times. Dark-coloured schools of tailor stretched as far as the eye could see in the surf break north to Waddy Point and south towards the Cathedrals. Numbers would be hard to estimate but there had to be thousands in each school. Stalking and feeding on these tightly packed aggregations were dozens of large sharks and pods of dolphins as well as a few very big tuna and yellowtail kingfish. Strange ‘holes’ would open up in the tailor schools as a big tiger or hammerhead would make an incursion into the mass. It was easy to lose track of time as this experience in real-time nature kept you absolutely fascinated. Of course, down on the beach with the tailor coming every cast on our Abu Garcia Toby lures, it was inevitable that every once in a while a shark crashed the party. They were usually whalers around 1.5-2m long and it was not unusual for them to beach themselves in pursuit of a hooked fish. One of my mates grabbed the tail of a stranded shark before the next wash came along and tossed it onto dry sand, just for the thrill (this was the ‘70s, remember). On another occasion, I turned back to the surf after unhooking a fish to see a tiger shark at least 3m long mooching along in the shore break right where I’d just been standing! I ended up making my next few casts from dry sand before wading out to my usual spot, head turning from side to side like a lighthouse. Those Indian Head experiences really highlighted the vision of what a holistic marine environment should look like. Sadly, those times at Fraser are long gone! There is more to this reminiscence than just indulging in a nostalgic interlude, in fact those experiences would seem to offer a benchmark for the dilemma we are seemingly facing over why there seems to be so many sharks around. Our fish stocks are no longer anywhere near as prolific as back in my Fraser days: could the loss of that biomass to the marine environment be a factor in the seeming resurgence of shark encounters? 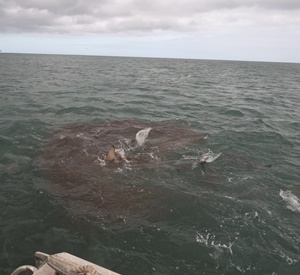 Up here in the Gulf of Carpentaria, we’ve not been immune to the shark problems – or the significant loss of our fish population due to overfishing. Large-scale offshore mesh netting and the use of drift nets since the late-1990s has seen fish and marine fauna numbers plummet, both in commercial and non-commercial species. This has been accompanied by subtle changes to what were once regular seasonal events – things like species and baitfish aggregations, for starters. Attacks on hooked fish by sharks happened rarely when I first started charter fishing out of Weipa back in 1997 but gradually ramped up in the early 2000s. The occasional fish lost to a big whaler or tiger suddenly morphed into increasing attacks from the more aggressive bull sharks that started to learn to follow boats between schools of tuna and queenfish. Nowadays, once the bull sharks arrive, it’s time to move somewhere else at least a couple of nautical miles away. But if you head 70km north to Mapoon, bull sharks are usually no longer a problem. The issue seems to be based on a learnt response – the more boats, the more bullies. They are congregating where they can access food more easily. 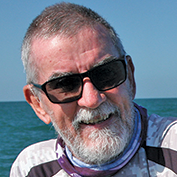 A conversation with Greg, a veteran commercial barra and mackerel fisher with over three decades of Gulf experience, brought the widespread changes to the marine ecosystem here into perspective. Most of the Gulf’s spanish mackerel fishing is carried out by line fishing around large bait schools. Greg reported the prevalence of bait schools was not only decreasing but areas where aggregations had traditionally occurred each season were no longer as predictable. In his opinion, the change in bait habits signalled a change in the activity of pelagic fish species, including mackerel, tuna, queenfish and trevally. The significant drop in numbers of these species meant many bait schools were no longer being pushed into tight formations by large numbers of feeding predators, thereby allowing baitfish to scatter and disperse. My experiences certainly mirrored that theory. 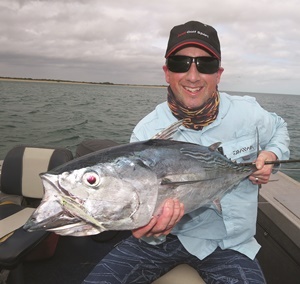 I’d kept daily trip sheets for more than a decade while guiding in Weipa and these demonstrated more than a 70 percent decrease in catch numbers for major sporting species – queenfish, trevally and mackerel, for instance – during that period. While not documented on these log sheets, I’d also noted the reduced incidence of the classic tightly packed Weipa bait balls and the failure of a couple of established bait-rich areas to hold the number of schools they had when I’d first come to the Gulf – or for as long. Where once it had been possible to hook a tuna or queenfish among the sharks feeding on a bait ball and work those fish into open water while the feeding frenzy continued without interference from the grey suits, the status quo has changed now the food chain had been disrupted by overfishing. The days of the ‘easy feed’ for the sharks, facilitated by large numbers of pelagics concentrating the food source so they could just lay in the middle of the mass, opening their jaws to get a mouthful, were not happening as efficiently. In a nutshell, we’ve overfished the resource and the sharks now have to find an easier way to get their meals, even though their numbers are reduced as well. It’s a lose, lose situation, primarily caused by poor fisheries management. Blaming increasing shark numbers for your lost fish is definitely not the answer! The ‘monster’ of more shark attacks is one of our own creation and will only be alleviated by a return to healthy fish stocks. The Fisheries Reform process currently under way in Queensland talks about rehabilitating our stocks to 60 percent of the original population, a level that would certainly go a long way to restoring the imbalance that would seem to be providing the stimulus for current shark problems. Given the questionable state of the Reform process, it remains to be seen if such goals are achievable. Will the Indian Head tailor carnage ever happen again as it did in the early ‘70s? If these Reforms are as good as stated, by 2027 this event should be visible again. The Fisheries Reforms sound good on paper but only practical results like this will prove whether it’s achievable or merely bureaucratic fantasy. More rubbish about the glorious shark but never mention the trail of amputated limbs and dead bodies since “protection” all those years ago. Duty of care? Hello?? Anyone?